This spring I have had the opportunity to participate in a small gathering at what is called Fordypningsrommet at the island group of Fleinvær the 20th. 21st and 22nd of January (www.fordypningsrommet.no). 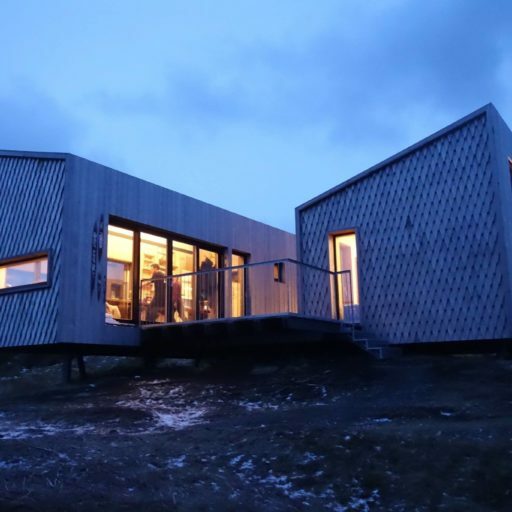 The small group of people gathered were all occupied of what is not spoken about – being at Fleinvær – windblown islands outside of Bodø – meant that we were gathered for days only relating to the others and our surroundings. We shared topics not normally spoken about. Some of them rather personal, some about questions hard to address with words and better expressed through music, movement, visualising and art. Being a writer I was moving into unfamiliar terrain of expression. Personal reflection in close association with people who wish to share and interact both with their surroundings and others give a possibility to insights and experiences not normally achieved. A mother spoke of her relationship to her mentally sick son – a man about his struggle with alcohol and others about their own challenges. Being professionals and some of us historians we spoke about the tragedies of the past – just north of the islands of Fleinvær a British Warship was torpedoed in 1915. We talked about the past and the memories in the small fishing communities of Fleinvær and Helligvær. Places where life is always vulnerable and where most families have lost family members at Sea. Even if far in the past those who died and those who survived in 1915 are very much part of the historical heritage and memories of the islands. In some ways even created strong bonds to their families in far-away England. The researchers who have worked with interviews with families, survivors and rescue workers of the Alexander Kielland accident in 1980 where 123 oil workers died, spoke about their interviews and the memory of the past. We spoke about what is chosen to be remembered and what is, in many people’s opinion, best forgotten. The question of silence and what is deliberately silenced is very much the essence of the core issues of humanity and tolerance as well as the limitation of expression. That is why we need to challenge using art as well as relating to other living beings and non-human nature itself. I am expressing myself like this because the concept of nature as separate from man is naturally meaningless. We breath air and drink water – we can never separate from other surroundings, still we have the meaningless experience of being totally apart.